The majority of us store a lot of personal information on our computers and it makes sense to start protecting this data, whether we want to keep snooping family members out or build a layer of defense to fight off hackers Blackhat Shows Us the Power of Hackers; But Is It Accurate? Blackhat Shows Us the Power of Hackers; But Is It Accurate? Blackhat is the latest in a line of "hacking action" movies and paints a scary picture of what nefarious computer geniuses can do. But how accurate is it? Should we be worried? Read More . And it’s simpler to do than you might think! You can choose from several different methods, each offering their own level of protection. You can just hide the data from obviously appearing on your system, or you can go all the way and apply passwords or employ encryption techniques. Once you’ve read our tips, be sure to head into the comment section and let us know what advice you have to hide and protect your data in Windows. Windows has an inbuilt method that will let you hide individual files or folders. Firstly, we need to make sure that files you’re going to mark as hidden appear as such. Launch Windows Explorer and go to Organize > Folder and search options and select the View tab. Then underneath Hidden files and folders you need to select Don’t show hidden files, folders, or drives and then press OK.
Now to hide your data. Right-click the folder or file in question, select Properties and then on the General tab tick Hidden. For extra protection select Advanced… and untick the archiving options. This will mean that your file won’t appear in the Windows search How to Search File Contents in Windows How to Search File Contents in Windows Ever had trouble finding a file you knew was stored on your computer? Per default, Windows won't search the contents of every single file. This can easily be changed and here is how! Read More . To show your hidden data, simply repeat the above steps but reverse the tick boxes. This obviously isn’t the most secure method around because someone could easily copy the process to uncover your files, but it will help discourage those less technology proficient from finding your hidden information. 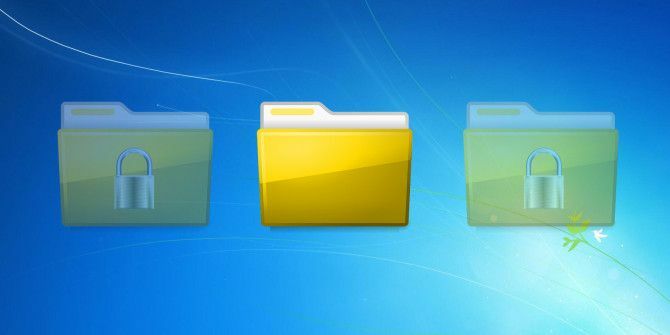 For another tip on how to hide a folder in plain sight by giving it a blank name and icon, be sure to check out the second step in our guide on how to hide folders in Windows 7 3 Quick & Easy Ways to Hide a Folder in Windows 7 3 Quick & Easy Ways to Hide a Folder in Windows 7 Privacy is hard to come by these days. Whether you are sharing a computer or are generally suspicious of peers who occasionally have access to your computer, you may have the desire to store sensitive... Read More . This allows you to go one step further and hide the entire drive from being discoverable on your computer. To begin, perform a system search for disk management and select the relevant result. This will bring up a window that will show you all the drives, internal and external, connected to your system. Right click the drive you wish to hide and select Change Drive Letter and Paths…. From the new window that opens, select the drive letter, click Remove and then click OK. You’ll now find that the drive has gone from Computer and it isn’t searchable on the system. Again, these steps can be copied in order to rediscover the drive, so if you’re looking for something that offers true security then you’re better off checking out the password and encryption options below. Windows doesn’t have an inbuilt method to password protect your data. There is a .bat method offered by The Windows Club, but it’s not secure at all and is at best just a neat trick. If you want proper password protection then you’ll have to turn to third-party software. You’ll find that a lot of these programs cost, but there are free alternatives available like SecretFolder and lock-a-folder (abandoned by the developer, but works up to Windows 7). Both of these lightweight programs offer incredibly simple user interfaces, allowing you to hide folders and apply passwords to them. 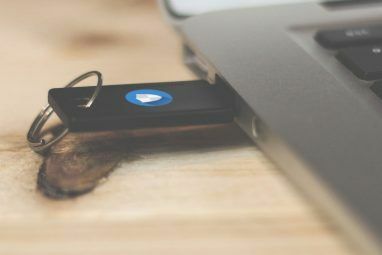 If you’re using a USB stick to take your data on the go, be sure to check out our tips on how to password protect a USB stick How to Password Protect and Encrypt a Flash Drive: 5 Easy Methods How to Password Protect and Encrypt a Flash Drive: 5 Easy Methods Need to create an encrypted USB flash drive? Here are the best free tools to password protect and encrypt your USB flash drive. Read More . This guide explains how some file types can be saved with a password, how to encrypt and password protect a USB partition and how to apply a password to the entire drive. If you’re after the most secure protection available then you’ll want to use encryption. All of the above methods will help you to an extent, but they have their flaws. Using the strongest method of encryption will ensure that only the people who known the decryption key can access the data. In the past we’ve discussed reasons to encrypt your digital life Not Just For Paranoids: 4 Reasons To Encrypt Your Digital Life Not Just For Paranoids: 4 Reasons To Encrypt Your Digital Life Encryption isn’t only for paranoid conspiracy theorists, nor is it just for tech geeks. Encryption is something every computer user can benefit from. Tech websites write about how you can encrypt your digital life, but... Read More and those points stand up today, perhaps even more so. Even if you’ve never encountered encryption on your own data, you will have when browsing the web. Have you ever noticed a site you’re on uses ‘https What Is HTTPS & How To Enable Secure Connections Per Default What Is HTTPS & How To Enable Secure Connections Per Default Security concerns are spreading far and wide and have reached the forefront of most everybody's mind. Terms like antivirus or firewall are no longer strange vocabulary and are not only understood, but also used by... Read More ‘ at the beginning of the URL? Simply put, this means the site is placing a layer of encryption between the site and your browser for added security. Handily, it’s quite easy to encrypt your own data. In a recent disk encryption 5 Effective Tools to Encrypt Your Secret Files 5 Effective Tools to Encrypt Your Secret Files We need to pay closer attention than ever before towards encryption tools and anything designed to protect our privacy. With the right tools, keeping our data safe is easy. Read More roundup we included VeraCrypt, a TrueCrypt successor. In an earlier article on TrueCrypt alternatives TrueCrypt Is Dead: 4 Disk Encryption Alternatives For Windows TrueCrypt Is Dead: 4 Disk Encryption Alternatives For Windows TrueCrypt is no more, but fortunately there are other useful encryption programs. While they may not be exact replacements, they should suit your needs. Read More , we featured tools that will encrypt your whole drive, but perhaps the best on that list is AxCrypt. This integrates directly into Windows and allows you to encrypt folders and files just by right-clicking on the data and selecting the relevant menu option. Security is an important consideration and hopefully these tips have helped you to tighten your control over personal data. You wouldn’t leave compromising documents lying around the house, so don’t do it on your computer either because the wrong eyes could find it. Remember, you can use a combination of the techniques above to achieve the protection that you want. If you just want to stop your kids finding a folder, consider using Windows’ hidden file facility. If you’re worried about external snooping, consider encryption. Have you used any of the security methods above before? Which of your own do you have to add? Explore more about: Computer Security, Encryption, Online Security. I used Gilisoft File Lock Pro to add a solid level of security to control over my files. I have used folder lock software. Once a folder is locked using it, we will not be able to see it up until it is unlocked. Hope this helps. Has anyone tried bit locker? Ive been curious about it, but never tried it. Creating an encrypted virtual hard drive is also a very simple and effective method, on Windows at least, and everything needed is already built into Windows.